In all that is going on you are immersed in the experiences and so engrossed you are feeling you are inside it and part of it. In some of these experiences a performer is seen running as he crashes the walls that are trying to stop him. Interactive is also part of the incredible visual effects and experiences. A vast sea of Mylar is all around you with performers suspended in mid-air. A plastic covers all entirely above you with some circles open. In the circle is a performer who feels below and pulls up some audience members. 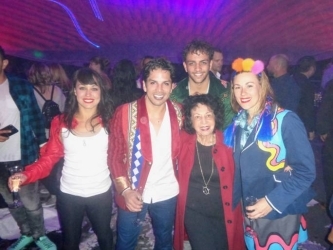 FUERZA BRUTA is an experience to see, feel, be part of and be wowed! To actually explain it, you have to be there to believe it. FUERZA BRUTA is playing for a limited time at Excalibur, so be sure to make it your must see show! As a special guest DJ during ACM Awards FUERZA BRUTA is going country with Dee Jay Sliver on April 5 at 7 p.m.
FUERZA BRUTA performs at 7 p.m. and 9:30 p.m., Wednesdays through Sundays (dark Mondays and Tuesdays), at Excalibur. Tickets start at $72.50 (excluding fees). Las Vegas’ fourth annual WORCS Racing event (World Off Road Championship Series) will bring some of the nation’s fastest and most talented off-road racers to Orleans Arena on April 12-14. 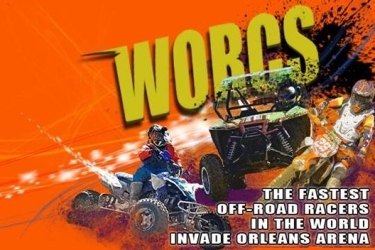 Best-known as one of the biggest off-road ATV, SXS and motorcycle racing series in the United States, WORCS Racing brings top professional and amateur riders to compete for the title as one of the fastest racers in the country. Racers have backgrounds in Enduro, Hare and Hound, Hare Scramble, GNCC, Best in the Desert and Motocross. WORCS Racing’s challenging race courses will test the abilities of each rider as they take on open deserts and outdoor-style motocross tracks at an incredibly fast pace. The event will also feature various motorsport vendors with exhibits located outside of Orleans Arena. The three-day event will feature popular dirt bike racers Andrew Short, Taylor Robert and Zach Bell; ATV riders Beau Baron and Mike Sloan; and SXS racers Matt Hancock and Corbin Leaverton. Races being at 12 p.m. on Friday, April 12 and at 8 a.m. on Saturday, April 13 and Sunday, April 14. Tickets start at $15 plus fees and can be purchased by calling Ticketmaster at 800-745- 3000; online at www.orleansarena.com or in-person at gift shops inside The Orleans, Suncoast, Gold Coast and Sam’s Town. Tickets may also be purchased the day of the show (depending upon availability) at the venue box office. Three-day packages are also available, starting at $35 plus tax and fees. The Las Vegas Philharmonic is continuing their celebratory 20th Anniversary Season with Music Unwound: Dvorák in America on Saturday, April 6 at 7:30 pm at The Smith Center for the Performing Arts. Following the Dvorák selections, the orchestra will perform the final two movements from The Hiawatha Melodrama, which combines text by Longfellow with music by Dvorák and will be accompanied by a visual presentation and narration by renowned vocalist Kevin Deas. Patrons are invited to attend a pre- concert recital, “Harry Burleigh and Dvorák,” beginning at 6:30 pm. This concert will be the high point of a week-long series of recitals, discussions and performances in collaboration with University of Nevada Las Vegas (UNLV). Throughout the week of events, both the Las Vegas Philharmonic and the UNLV orchestra will present concerts with scripted and visual accompaniment. The full schedule of events can be found at: http://www.musicunwoundvegas.com/. 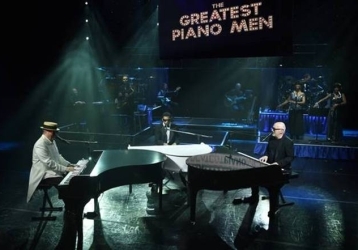 The Greatest Piano Men at the Flamingo showroom salutes the greatest icons in music history in a wonderfully entertaining show. Three very talented musician/singers, Donnie Kehr, Pete Peterkin and Greg Ransom not only perform, but look and sound as if they are the actual icon performers they represent. 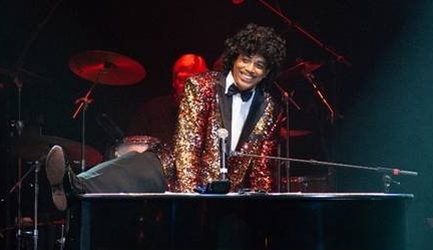 In a great show along with a five piece band and two beautiful female singers you enjoy experiencing the hits of Billy Joel, Elton John, Jerry Lee Lewis, Stevie Wonder, Little Richard, Ray Charles, Sammy Davis Jr. and more. The show has great narrations, videos, costuming, dancing, even to include some audience members, and a fabulous saxophonist solo. The Greatest Piano Men has a limited engagement, so hurry to see, hear and enjoy! 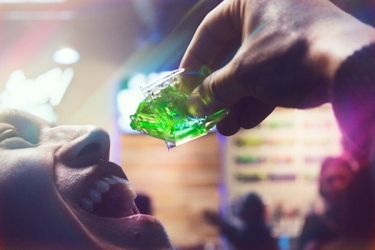 The Nightclub & Bar 2019 Convention just closed and the creator of Jevo, the world’s first fully- automated edible shot prep machine (Jevo is called the “Keurig for jello shots”) allows venues to easily prep hundreds of Jevo shots in minutes. It was announced that more than 7,000 gelatin shots were served on the show floor at the Las Vegas Convention Center during the convention. The very successful convention gave attendees the chance to interact with mixologists and industry leaders. Cocktail competitions, live bar demonstrations with new libations, acclaimed chefs and nightlife events were some of the highlights offered. Palms Casino launches KAOS Pool Concert Series with Multiplatinum, three-time Grammy Award- winning Zac Brown Band on Sunday, April 7. KAOS is a spectacular new entertainment experience consisting of a 73,000 square foot dayclub and a 29,000 square foot nightclub, which together will completely redefine the daylife and nightlife experience in Las Vegas. KAOS will feature exclusive residencies with a diverse array of world-renowned musical artists, state-of-the art audio, video and lighting technology and dramatic one-of-a kind design and art elements woven throughout the experience. In addition to the exclusive residencies of Marshmellow, Jauz, Slushii and Southside. Previously announced KAOS exclusive residencies include (in alphabetical order) Above & Beyond, Cardi B , G-EAZY, Kaskade and Skrillex, with other headliner residency announcements expected to follow. 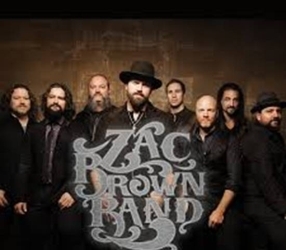 Zac Brown Band is led by front man, Zac Brown along with Jimmy De Martini (fiddle), John Driskell Hopkins (guitar), Clay Cook (guitar), Chris Fryar (drums), Coy Bowles (guitar), Daniel de los Reyes (percussion) and Matt Mangano (bass guitar). Tickets for Zac Brown Band start at $50, plus applicable fees. Tickets can be purchased at palms.com/KAOS or by calling 702.942.7777. CSN Fine Arts Theatre Program presents the Las Vegas Premiere of The Pillowman . Violence in film and television has become such an accepted mode of expression that it fails to shock. No matter how much blood is splattered and how many vehicles explode, our audiences have become inured to the horror. Yet we live in a violent, cruel and heartless world. The Pillowman addresses this moral anesthesia by fusing grotesque violence with macabre humor. The production is directed by Joanne Gordon, assisted by Jane Walsh. Performances are April 5th, 6th, 11th, 12th and 13th at 7:00 p.m. with two matinees on April 7th and 14th at 2:00 p.m. in the Nicholas J. Horn Theatre located at the North Las Vegas campus at the College of Southern Nevada. General admission tickets are $12 for adults and $10 for students and seniors. To purchase tickets online, visit: www.csn.edu/pac. Going to the movies has always been an interesting experience, but now it has become more than just sitting and enjoying a movie. It is now an incomparable experience and more when Galaxy Theatres will once again bring state-of-the-art moviegoing to Las Vegas beginning Friday, April 5. The company’s third Las Vegas location, Galaxy Theatres Luxury+ Boulevard, at the Boulevard Mall. Galaxy Theatres Luxury+ Boulevard will be home to the world’s first Sony Digital Cinema™, the company’s groundbreaking experiential premium large-format (PLF) movie theatre auditorium. Sony Digital Cinema will offer guests an unforgettable theatrical experience with Sony’s industry-leading dual laser projection system, which delivers an exceptional 4K picture and a quality experience on the largest movie theatre screen in Las Vegas at 4 stories tall by 7 stories wide. The auditorium also features the acclaimed Dolby Atmos digital sound system and luxurious powered reclining seats. Galaxy Theatres have partnered with Sony to launch the very first Sony Digital Cinema in the world and The Galaxy Theatres Luxury+ Boulevard will also feature motion seats. D-BOX creates a hyper-realistic and immersive experience with their patented motion system seats. The motion system is perfectly synchronized with on-screen action and audio providing subtle movement, smooth rolling and vibration. Viewers can customize their experience with intensity control. D-BOX adds another layer to storytelling that is proven to give movie-goers a personalized experience. In addition, movie attendees are offered premium amenities including a convenient quick service café and full bar. Galaxy Theatres Luxury+ Boulevard is located at 3680 S. Maryland Parkway inside the Boulevard Mall. The location will offer nine screens. Guests can also get more from their experience with Galaxy Rewards. Points are earned by purchasing tickets and concessions and can be redeemed for discounts. The Orleans Hotel and Casino has a great entertainment lineup in April. 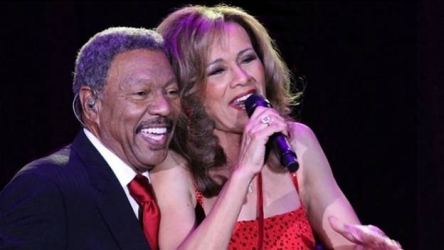 The musical “Up, Up and Away” Starring Marilyn McCoo and Billy Davis Jr. will be at The Orleans Showroom Friday, April 5 and Saturday, April 6 at 8 p.m.
Marilyn McCoo and Billy Davis Jr . are best-known as the original lead singers of the legendary musical group, The 5th Dimension . Audiences will enjoy McCoo and Davis’ musical “Up, Up and Away,” featuring a musical celebration of their top hits as well as tributes to musical icons like The 5th Dimension and The Beatles. 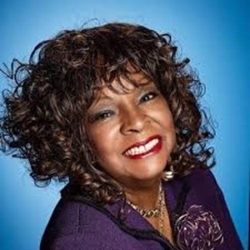 Legendary Ladies of Motown Starring Martha Reeves and Mary Wilson Saturday, April 27. Mary Wilson was one of the founders of the highly-successful female singing group The Supremes and has performed on stage and on screen across the world. 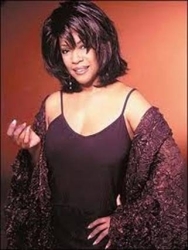 Mary Wilson has written a best-selling autobiography, DreamGirl: My Life as a Supreme. Viva Las Vegas Rockabilly Weekend - Thursday, April 18 through Sunday, April 21. Viva Las Vegas Rockabilly Weekend is the longest-running music festival in Las Vegas history. Festivalgoers will be taken back to the 1950s with performances by rockabilly musical legends, retro 1950s fashion shows and a vintage car show, featuring hundreds of classic rods. Bourbon Street Lounge and Bailiwick All American Pub + Eatery will also feature free live entertainment throughout the month of April. 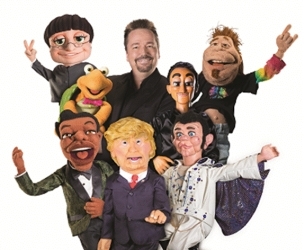 Terry Fator’s award-winning run as headliner at The Mirage just marked his 10th anniversary, and in true Fator fashion launched a new show concept: Terry Fator: The VOICE of Entertainment Presents an Evening with the Stars. Fator continues to keep a promise made 10 years ago - to create a new character each year he was performing at The Strip property. This year, in addition to introducing new characters, four to be exact, new songs, jokes and hilarity also join the lineup. An Evening with the Stars features the introduction to new superstar characters: Willie Nelson; Justin Bieber, David Bowie and Stevie Wonder. In addition, Fator brings the Oceans 11 Rat Pack back to Las Vegas with special appearances by Sammy Davis Jr. and Dean Martin. Music fans of all ages will enjoy the additions of vintage classics like Bohemian Rhapsody and Ebony and Ivory, and future classics like Love Yourself and Can’t Stop the Feeling! With new songs, new characters and new comedy added to the award-winningshow, Terry Fator: The VOICE of Entertainment Presents an Evening with the Stars promises to be Fator’s best show yet! The 12th Annual Las Vegas Film Festival, presented by Zappos will be held April 28 through May 5. While the majority of the Festival will take place in venues around Downtown Las Vegas, some events will be held at the Brenden Theatres and Palms Casino Resort. The lineup includes a mix of feature films and documentaries that have been favorites on the international festival circuit, as well as films with Las Vegas ties, including a documentary about The Amazing Johnathan, and Robin Greenspun’s personal portrait of local businesswoman Amy Ayoub. Additionally, one of the documentaries, Knock Down the House , follows the campaigns of four progressive women who ran against incumbents in the elections last fall, including Amy Vilela who ran for U.S. Congress in Nevada’s 4th Congressional District. The 30th annual Jazz in the Park Concert Series. is now celebrating three decades of jazz in Las Vegas. 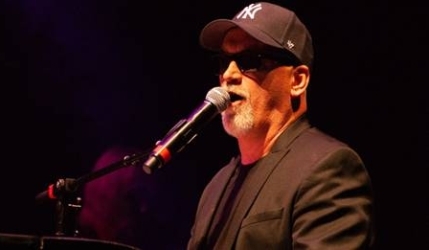 Clark County Parks & Recreation has announced the talent that will be performing at Taking over the Clark County Government Center Amphitheater. This year, Jazz in the Park will host Norman Brown on May 11, Tito Puente Jr. on May 18, Raul Midon on May 25, Althea Rene, Selina Albright and Kayla Waters on June 1 and Paul Taylor on June 15. Jazz in the Park boasts live performances, picnic and seating areas, and an array of food and drinks to choose. The admission and parking for the event is free. 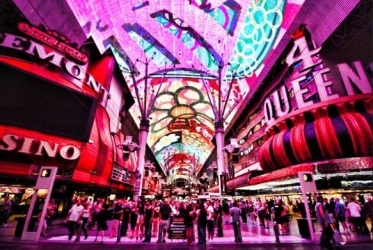 Fremont Street Experience, the six-block entertainment district located in downtown Las Vegas, invites guests to turn it up “One Louder” and celebrate the return of Downtown Rocks with a powerhouse lineup featuring a diverse range of chart-topping talent from around the world. Music fans of all ages can rock out under the Viva Vision canopy during the free concert series which kicks off on Friday, May 24 with American rock band, Good Charlotte and continues with full-length performances by some of music’s most sought-after acts including Cheap Trick, Nelly, Sugar Ray, Buckcherry and more. The ladies of FANTASY at Luxor Hotel and Casino will honor the nation’s military personnel with the show’s sixth annual Military Appreciation Night performance Thursday, May 9 at 10:30 p.m. FANTASY will offer complimentary tickets for 50 active-duty military members and their guests. Audience members will be treated to a patriotic performance by lead singer Lorena Peril to honor the military attendees. 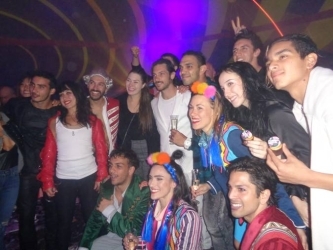 Following the performance, audience members will be invited to meet the FANTASY cast, as well as have an opportunity for autographs and photos. Complimentary tickets will be given to the first 50 military members who confirm a reservation by emailing FANTASYVIP@wickedcreative.com before Wednesday, May 8. A valid military photo ID will be required to pick up tickets at the Atrium Showroom, located on the Atrium level of Luxor Hotel and Casino. Tickets must be picked up at least one hour prior to show time, may not be exchanged for cash and are non-exchangeable/non-transferable. Tickets are also available for purchase at the Luxor box office, online at fantasyluxor.com or by calling 702.262.4400. Military Appreciation Month is in May so military personnel should keep their eyes open for many specials and dicounts during this time. For example: Therapy restaurant, located in the Fremont East Entertainment District, is honoring all active-duty military and veterans during Military Appreciation Month with a discount throughout May. Although Therapy supports military members and veterans throughout the entire year with an ongoing 10 percent discount on all food and drinks, Therapy will offer a 20 percent discount on all food and drinks to military personnel with a valid ID. Another one I know of is Cabo Wabo Cantina, located inside Miracle Mile Shops at Planet Hollywood Resort & Casino. They will honor active military and veterans by offering a 20 percent discount on all food and drink purchases and Cabo Wabo will donate a portion of the proceeds to the Wounded Warrior organization that aids support to wounded veterans. Thank you to our military and veterans who give all so we can enjoy our freedom! 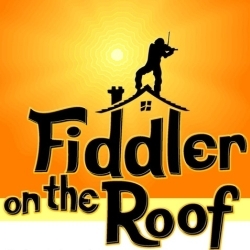 The Smith Center for the Performing Arts is presenting the Las Vegas engagement of the Tony Award-nominated Broadway revival of Fiddler on the Roof from June 4-9. The tour launched October 17, 2018 in Syracuse, New York. A beloved theatrical classic from Tony Award-winner Joseph Stein, and Pulitzer Prize- winners Jerry Bock and Sheldon Harnick, Fiddler on the Roof is directed by Tony Award-winner Bartlett Sher (South Pacific, The King and I ); choreographed by the acclaimed Israeli choreographer Hofesh Shechter; inspired by the original choreography of Jerome Robbins ; and has musical direction by Ted Sperling . The original Broadway production of Fiddler on the Roof, which opened in 1964, was the first musical in history to surpass 3,000 performances. The show won the 1965 Tony Award for Best Musical in addition to eight other Tony Awards that year. This acclaimed revival proudly introduces a new generation to the iconic musical adored across the globe. Tickets starting at $29 go on sale on Friday, April 5, at 10 a.m. at TheSmithCenter.com. Nathan Adelson Hospice, Southern Nevada’s oldest, largest and only non-profit hospice has announced the 16th Annual John Anderson ‘Celebration of Life’ Live Butterfly Release. This will take place on The Lawn at Downtown Summerlin at 2 p.m. Sunday, April 28. The event is open to the public. Southern Nevada community members are invited to celebrate and honor the memory of lost loved ones during this annual event, which takes place on the large lawn area at the shopping center at 1980 Festival Plaza Drive. The butterfly release will commence promptly at 2:30 p.m. The event brings together hundreds of friends and families to release more than 500 butterflies in memory of loved ones who have passed away. The annual ‘Celebration of Life’ butterfly release is a touching ceremony that gives our community the chance to honor and remember loved ones who have passed. This symbolic experience helps provide emotional and spiritual healing. 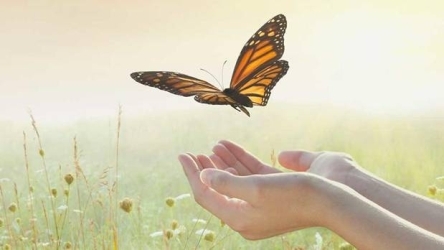 A Native American legend is the premise of the butterfly release and claims that if anyone desired a wish to come true, they had to capture a butterfly and whisper that wish to it. The event is named for Nathan Adelson Hospice family member John Anderson, who worked for at the hospice for 23 years and passed away in 2007. Butterflies can be reserved in advance for $50 a box, with each box containing two butterflies, by contacting Stephanie Forbes at 702.938.3910. Then join Z.Z. Zorn's announcement mailing list!